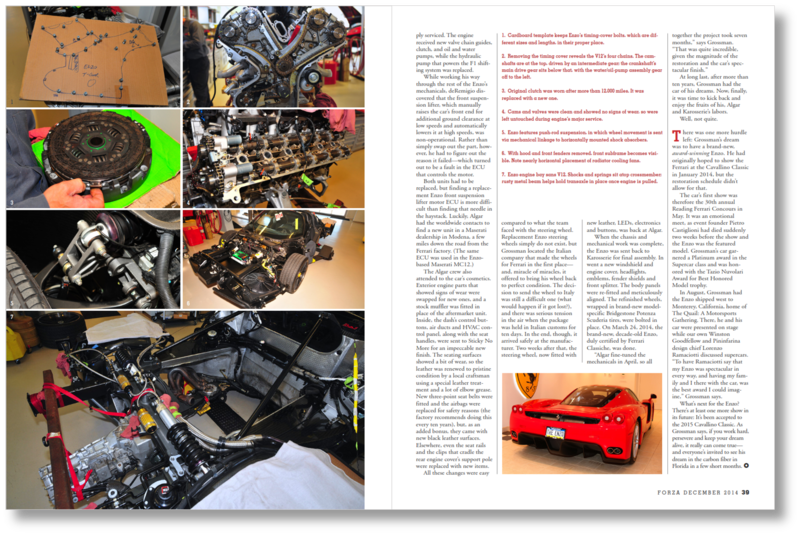 The Enzo might be our favorite project that we’ve ever had the chance to work on. 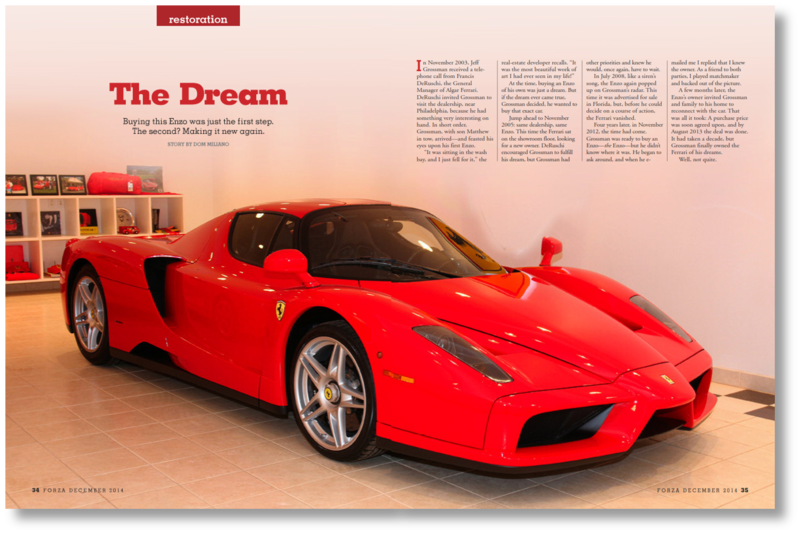 It all started when a long time client of ours had his eye on buying a Ferrari Enzo that he had been craving since 2003 when he first saw it at Algar Ferrari. It had to be that Enzo, the one he saw. So after years of waiting for just the right time and opportunity, the stars aligned and the moment presented itself. 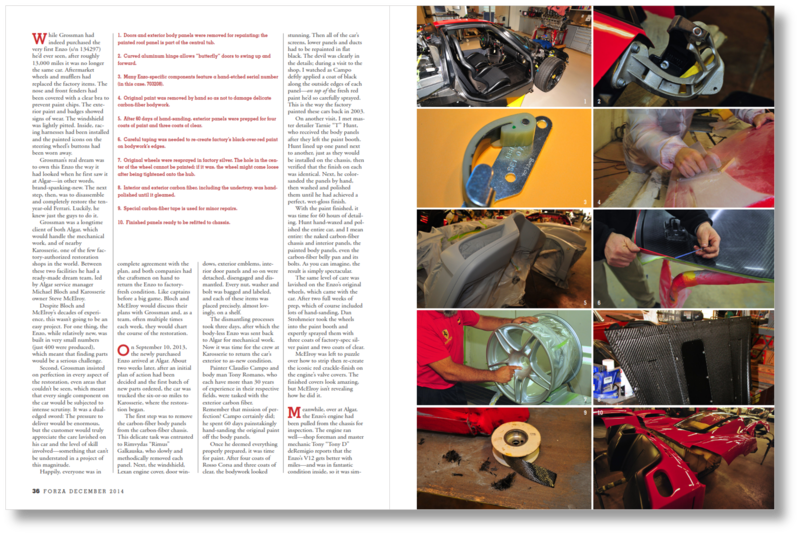 Before purchasing, he wanted to have the experts he knew and trusted take a look to know exactly what it was going to take to bring the car back to its original glory when he first laid eyes on it. So Karosserie, along with one of the nation’s leading Ferrari mechanics, took the trip to New York to check it out. 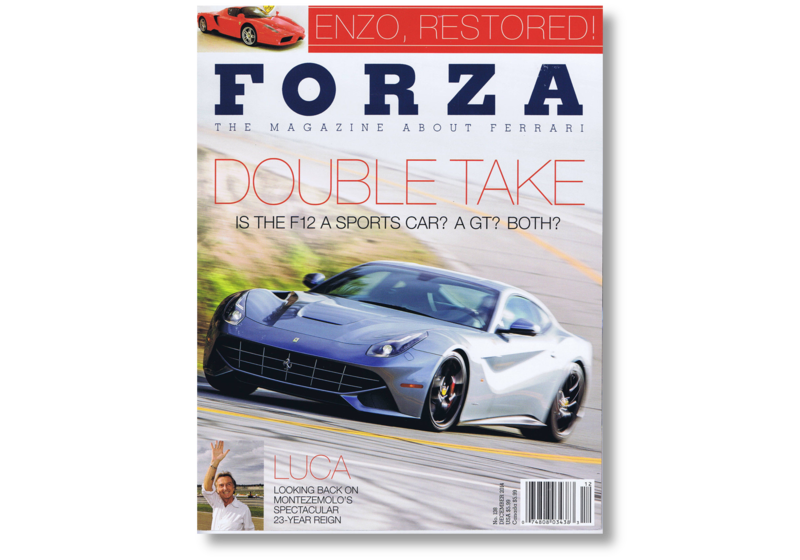 The complete process is told best through the front cover feature story in Issue 138 of Forza Magazine in December 2014. The Enzo graced the stage while Lorenzo Ramaciotti, former Head Design Director of Pinninfarina & Head of Design for Fiat, discussed the Enzo design brief with author/photographer Winston Goodfellow.